Daily Cheapskate: PRICE DROP: Gears! Gears! Gears! 150-piece Super Set for $27.99 on Amazon. Great STEM toy! PRICE DROP: Gears! Gears! Gears! 150-piece Super Set for $27.99 on Amazon. Great STEM toy! Learning Resources Gears! Gears! Gears! 150-piece Super Set has dropped down to $27.99 with free Prime/SuperSaver shipping on Amazon. This popular set has got 4.7 out of 5 stars over 423 customer reviews and is an Amazon #1 Best Seller. The 150 piece multi-color Learning Resources Gears! Gears! Gears! super set offers a creative entertainment for your child. 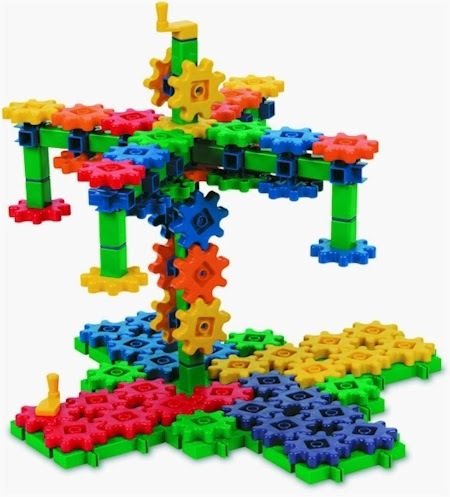 With gears, connectors and interlocking bases, there are endless possibilities for producing any desired structure or form. An activity guide helps with a few starter designs and then, your child can let his or her creativity unfold. This building set comes in a giant storage tub. Ages 3 and up.